It seems to me that with a better web HTML5 et al. + better 3D rendering in browsers that it may be soon. What enables it, and what’s stopping it? I see companies like Onshape (https://www.onshape.com/) promoting themselves as the ‘only Cloud CAD solution’. Is this really viable? Here’s a video I watched about Understanding Full Cloud CAD and Onshape on Youtube to show you want I mean. I think one of the issues holding this back will be cross compatibility of browsers, OS etc. There’s a lot more controls with a downloaded software package. I know myself my Chrome often runs out of memory even with a few Chrome extensions.. so I could imagine it happening but it will need to be with a dedicated browser perhaps which only runs the CAD app and removes all the bloatware associated with today’s browsers? Cloud based delivery is an exciting concept though as we’d be able to share our files easier and have ‘remote rendering’. It could be a game changer. There’s software like PhotoView 360 for SolidWorks which does network rendering and Autodesk 3DS networking rendering is available too. Next stop cloud rendering.. Those OnShape guys are first, but I am sure they won’t be the last. AutoDesk Fusion360 – Fusion 360 combines industrial and mechanical design with collaboration in an easy-to-use, affordable cloud-based 3D CAD tool. AutoDesk A360 – A360 is a cloud collaboration tool that helps engineers and designers view, share, review, and find 2D and 3D design and project files in one central workspace. Autodesk AutoCAD – The free AutoCAD 360 app lets you redline drawings on-site, store files in the cloud, collaborate in real time, and share DWG™ files. Autodesk TinkerCAD – Tinkercad is a free online 3D modeling tool for hobbyists, teachers, and students of all ages. Make home decor, toys, Minecraft models, and more. JavaParaTrooper Answered on January 16, 2017. There are web based systems out there like https://www.tinkercad.com/ and i have used Autodesks Autocad WS when it was available. Generally i think there is nothing stopping it other than some design hurdles and user demand. If some one packages a product as being equivalent to a terminal install i don’t think a web version is quite powerful enough yet. so users looking for the full Monty arent going to be happy with it so thats one issue. Another issue is that there several workflows based off of older systems so the new tools have to be out there and fully functional in order for them to be reliably adopted. Its a chicken and egg kind of thing. 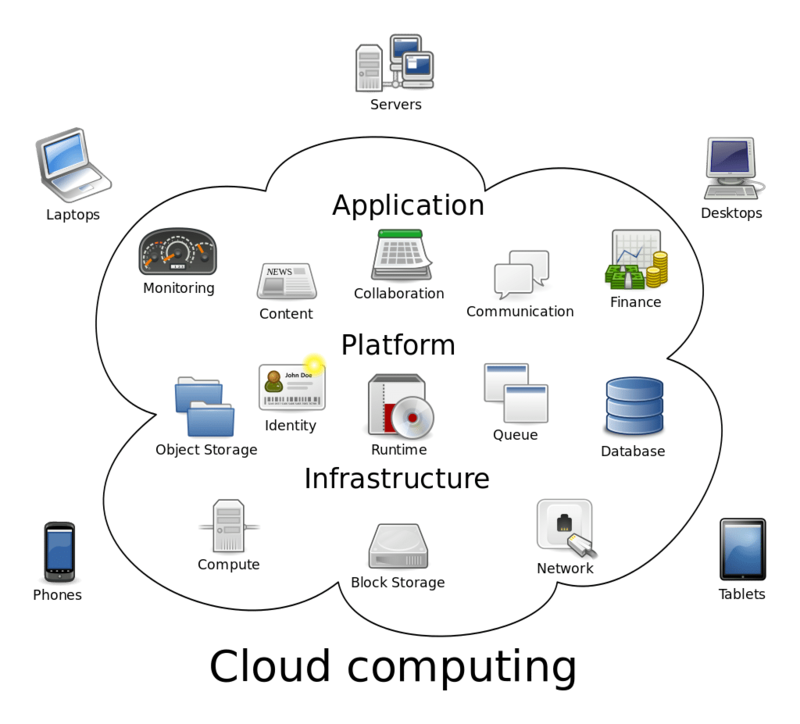 Also when it comes to the cloud you have the ever present issue of connectivity. I’m frequently in an area with a compromised connectivity. So adoption of cloud system will only be in place where there are no concerns with connectivity. I think the cloud is a viable option but adoption will take a while and there are some legit concerns about a couple aspects that make investing in the technology a little bit of a gamble for some firms. CADnoob Answered on January 16, 2017. Antoine Answered on January 16, 2017. Yes, all of CAD software will move to the cloud, it’s just a matter of time. If there’s a benefit – for either the developers or the users – to move the software to being cloud-based then it will happen. Of course, there’s already a lot of CAD services which are predominantly cloud-based. The one that makes the most sense to me currently is those which are sharing files and enabling collaborative comments such as GrabCAD’s Workbench. The services which are still currently best suited for running natively on PCs are those which involve complex CAD design and modelling. This requires a lot of computing power. It’s not possible to do this cost-efficiently on a server currently. But Moore’s Law tells us it’s just a matter of time! lukek Answered on January 16, 2017. My guess is yes, not only because of technologies like HTML5 and WebGL, now that some cloud providers (like Amazon) offer GPU instances. This actually can be done at the enterprise level. WebGL is a direct link to operating system’s OpenGL library, and this enables web applications to render very heavy stuff on a web page. But it might take some time until someone will offer a solid CAD solution, because WebGL is still young and supported only by beta browsers. But you don’t actually need a browser to use CAD software. You can just run a Windows/Linux instance in the cloud, and connect rendering to GPU instances or something like that. nishagg893 Answered on December 13, 2017.